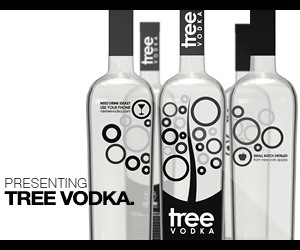 Notes: This Vodka is produced from single estate grown organic wheat from Slovakia with water from a 220 ft deep aquifer in the Tatra Mountains.Then distilled seven times by fractional distillation in a column still, then filtered seven times through various mediums including activated charcoal, limestone, and diamond dust. Appearance: Crystal clear, no sediment whatsoever. On swirling it leaves a thin clear oily coat (sign of nice body) on the inside of the glass with some legs developing then leaving small droplets rather than receding altogether. Viscous look and feel. First Impression: Exceedingly clean distillate smell, grain, citrus, and slight alkali tang. Taste: Slightly oily on the tongue, medium-to-heavy body. Crisp, mild bite to it on the edges of your tongue. Nice mineral like feel to the body , not as extreme as a Russian vodka, but balanced. Dry, grain-like aftertaste, with a attractively oily body/mouth feel and quite a bit of lemon/citrus zest to it with lingering finish. 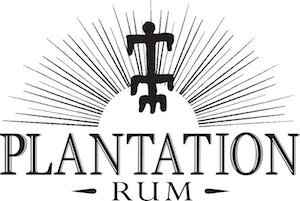 Traces of grain and citrus aftertaste with a smooth heat that is much less pronounced on the second taste. Drinks: The martini was excellent. In other drinks, it proved to be quite good. The citrus and mineral qualities making themselves known without overwhelming the drinks. NOTE: Use Noilly Prat for a vermouth and keep refrigerated after opening for the best taste. Bottle:The glass bottle is made in France from a famous glass house and is quite a thing to behold. A very rectangular heavy decanter bottom clear glass bottle with a brushed aluminum top (which pulls off by the way) sealed with a fancy tax stamp like seal noting bottle and lot numbers. Designs and labels are both silk screened and etched on (all the “hand-writing” is 18th-century epic Slovakian poetry). Final Thoughts: Very nicely done.It also runs counter to our wisdom about avoiding fancy bottles- a lot of time you are paying a large premium for a at best indifferent spirit that is depending on shelf appeal rather than content.This was not the case in Double Cross Vodka.The bottle and contents were equally delightful. One of the best buys in the super premium vodka category. 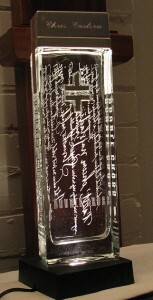 If you want to buy an impressive looking gift that also tastes good this is one of the few vodkas to fit the bill. Fast loading, attractive layout once you get the hang of it. Decent amount of information. Easy-to-read. Good content. Could not find the mute button for the music. While interesting it looped very quickly and will almost drive you insane by the time you get through the website. Also the music drowns out the video.